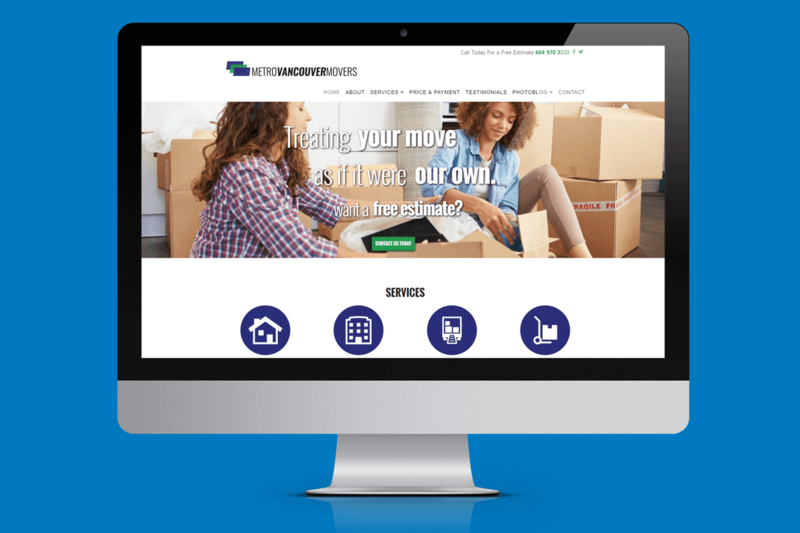 Metro Vancouver Movers | NetClimber Web Design Inc.
Metro Vancouver Movers needed an updated website with a professional design concept that is engaging to potential clients. 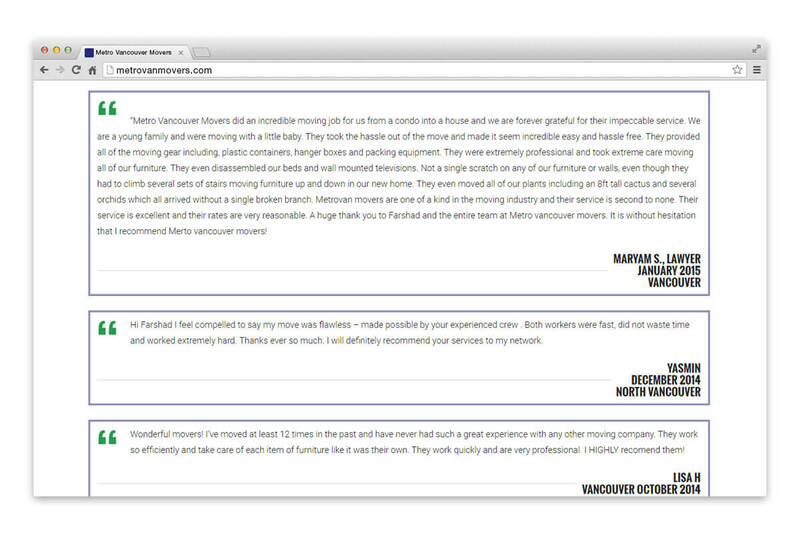 NetClimber focus was to create a WordPress site for Metro Vancouver Movers that was visually appealing, had user friendly navigation, and optimized content for a strong placement on Google. 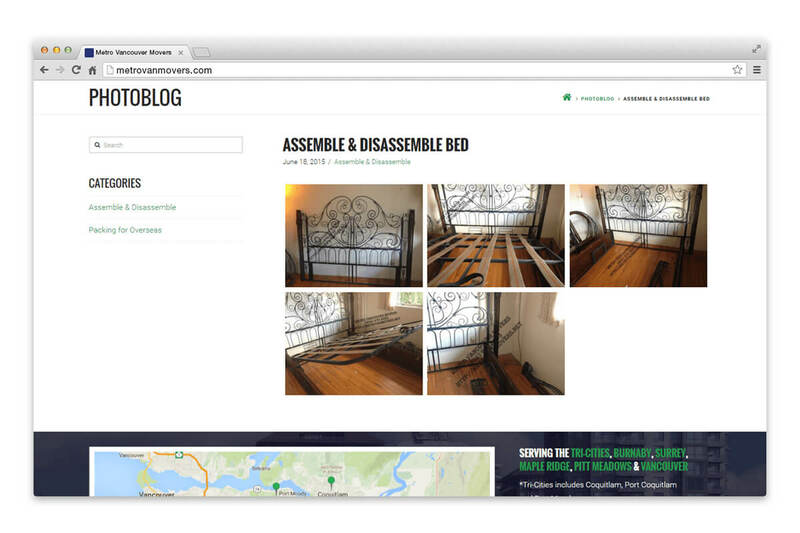 The website utilizes the Cornerstone, a powerful page builder, to allow for custom layout and design throughout the website. 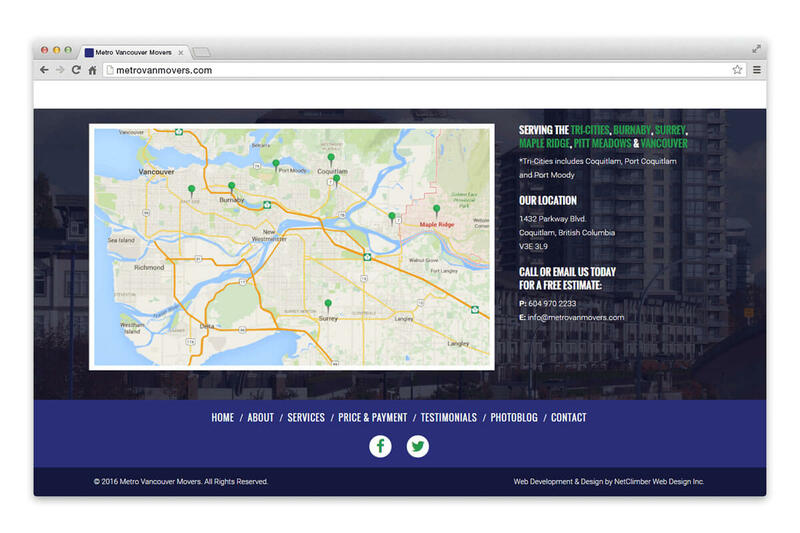 Metro Vancouver Mover also opted to be a Monthly Search Engine Optimization (SEO) client. 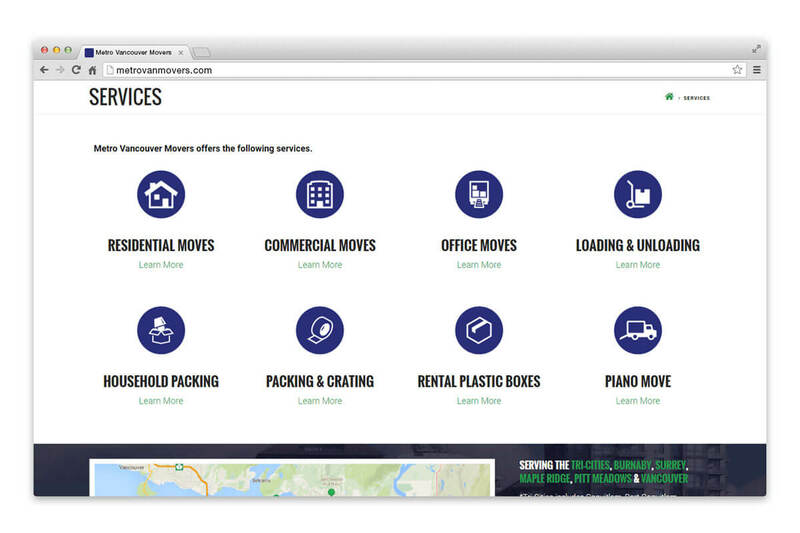 NetClimber works with Metro Vancouver Movers to increase their web presence through creation of business listings, promoting local presence, optimizing website content and images, as well as monitoring overall website health (broken links and page speed).